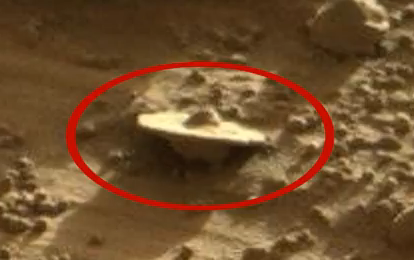 In a shocking discovery, it appears that the Curiosity Rover had captured a UFO crash site on Mars! 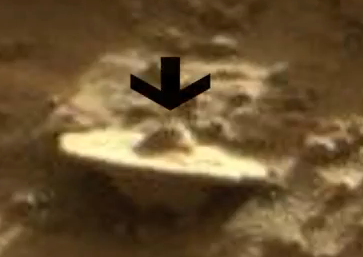 This incredible footage shows what may be some sort of vehicle, which shape is very clear and defined, against the Mars background. 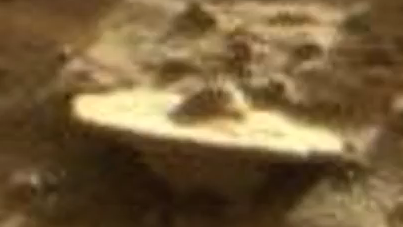 The object, which is half embedded into a rock face, looks like a classic flying saucer, and even appears to have a dome on its top. 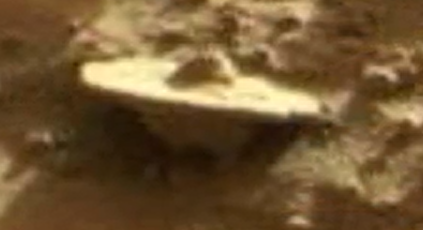 Could this be a odd shaped rock or something else?